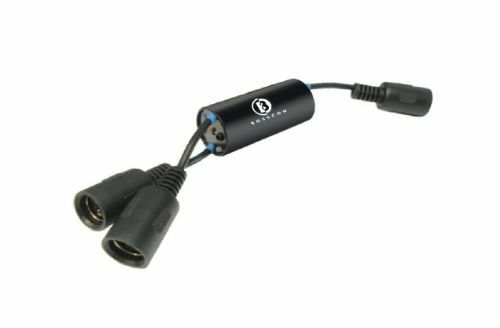 BOSSCOM's Powerlink 2 in 1 switch is developed for powered Bang & Olufsen speakers which can be connected in assistance of a Bang & Olufsen powerlink cable. The Powerlink 2 in 1 switch creates the opportunity for two different soundsources to share a pair of powered powerlink speakers from Bang & Olufsen. This is particularly attractive, if the soundsources are not connected. e.g. via Masterlink. When the Powerlink 2 in 1 is installed correctly, it will automatically select one of the two connected soundsources to be played.